King’s Quest is, to me (and I assume many others), a series that recalls childhood. Sierra Entertainment’s games were in the vein of classic adventures, their stories featuring wise old owls, imposing mountain yetis, bewildering voyages across deserts, and showdowns with villainous sorcerers. They were digital fables that blended the mythologies of international cultures in order to create new stories out of timeless material. 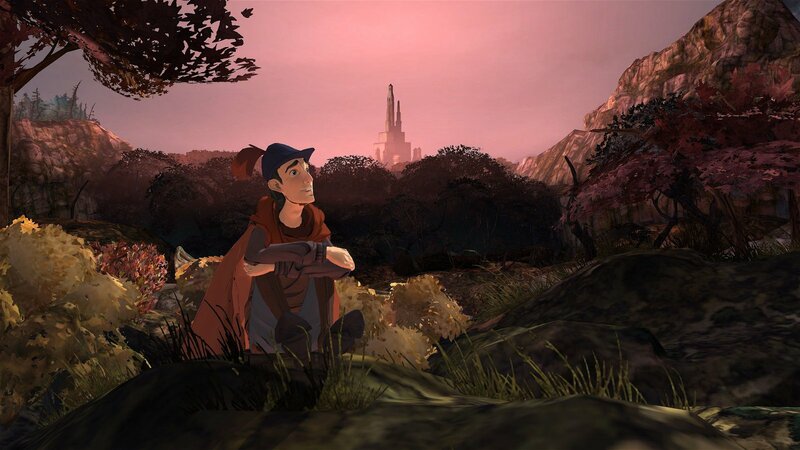 It’s fitting, then, that The Odd Gentlemen’s episodic King’s Quest revival feels so much like a long-lost children’s story—that it’s designed in an attempt not just to appeal to nostalgia, but to find novelty in the series’ past. This becomes clear from the very beginning of A Knight to Remember, the first (and currently only available) chapter of the game. The story opens with King Graham as a teenage boy, out to steal a magic mirror from a sleeping dragon. Graham, dressed in his classic blue feathered cap and red cape, accomplishes his task before the scene shifts to the present day, where the now elderly king is sharing stories of his past adventures to his granddaughter from the confines of his bed. As the plot progresses, Graham’s reminiscence moves further back in time to detail his beginnings as a knight. It’s here, in following the origins of the naive young man’s quest for greatness, that the game establishes a decidedly light tone. Unusual in a videogame, most of the comedy is slapstick. The young Graham is clumsy and loose-limbed, his gangly arms making exaggerated motions as he falls down a hill, hops across rocks, or rides his pony-sized gerbil in a tournament race. Though King’s Quest is earnest in extolling the virtues of honesty, kindness, and persistence in telling its fledgling hero’s story, it’s more concerned with making players laugh than anything else. While a few of the jokes fall flat, A Knight to Remember is a genuinely funny game. Part of this is the result of the kinetic, goofy action sequences, but more of it is the result of the many well-written characters—including, most memorably, a very literal take on bridge trolls, a selection of arrogant knights, and Graham’s wilful granddaughter Gwendolyn—making up the cast. Their distinct personalities are established through solid dialogue and brought to life by expressive cartoon faces and a solid voice cast including both newcomers and familiar actors like Back to the Future’s Christopher Lloyd and The Princess Bride’s Wallace Shawn. The visuals and storytelling are endearing enough to buoy gameplay that consists largely of straightforward puzzle solving. 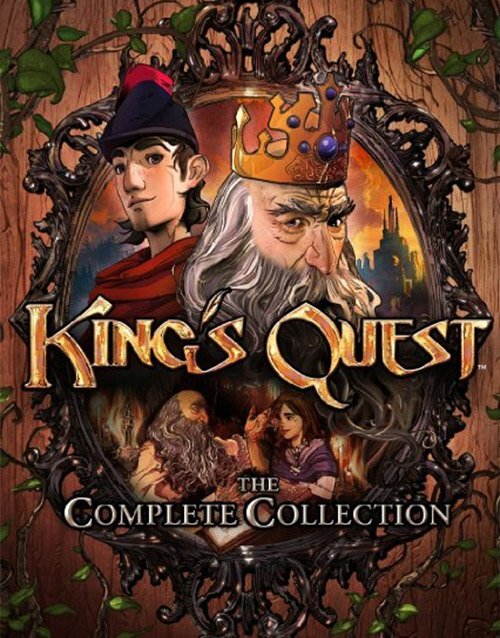 Though its colourful, cartoony style calls to mind Telltale Games’ popular, dialogue-led adventures (The Walking Dead, Game of Thrones), King’s Quest is a fairly traditional take on the genre. In order to progress, Graham wanders back and forth through the environment, finding items and using them to navigate environmental obstacles or interact with characters. 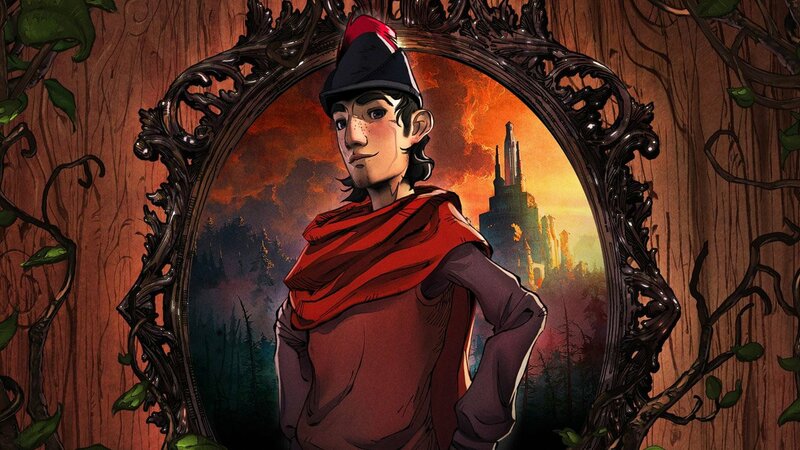 The first chapter hints at long-term ramifications for the approach the player takes to certain dialogue and puzzle choices—Graham can choose to be kind, wily, or forceful—but, at least for now, King’s Quest is a standard, seemingly linear take on adventure games. It updates the genre’s well-worn formula in a few significant ways, adding in a handful of light action sequences to diversify the gameplay, but it also stumbles at times by requiring repetitive exploration in order to trigger new puzzles. Its stylish presentation goes a long way to compensate for these instances of strangely archaic design, though. Great sequences, like a protracted puzzle where Graham must communicate with a silent knight or the wonderfully framed first moments of a surprise goblin ambush, argue that The Odd Gentlemen’s strengths lie more in action composition than puzzle construction. Even if the following chapters do little to address these issues, though, King’s Quest will still be a fitting revival of the series and a great adventure in its own right. Remarkably, A Knight to Remember manages to capture the spirit of its predecessors without ever feeling like an empty exercise in nostalgia. Though King’s Quest is earnest in extolling the virtues of honesty, kindness, and persistence in telling its fledgling hero’s story, it’s more concerned with making players laugh than anything else.